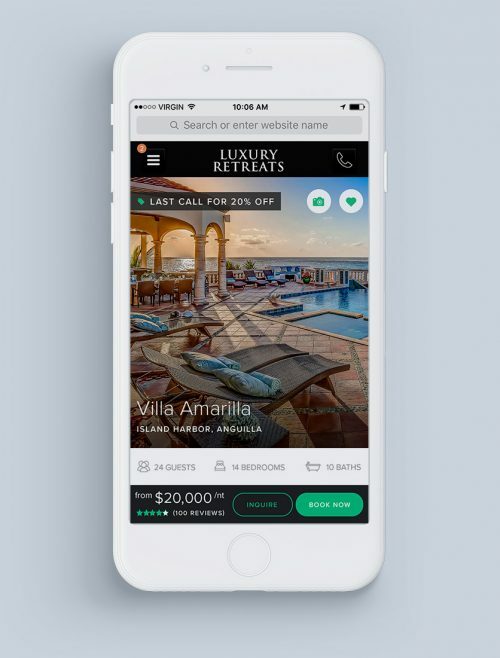 Luxury Retreats Mobile Product Detail Page designed by Noisy Ghost Co. 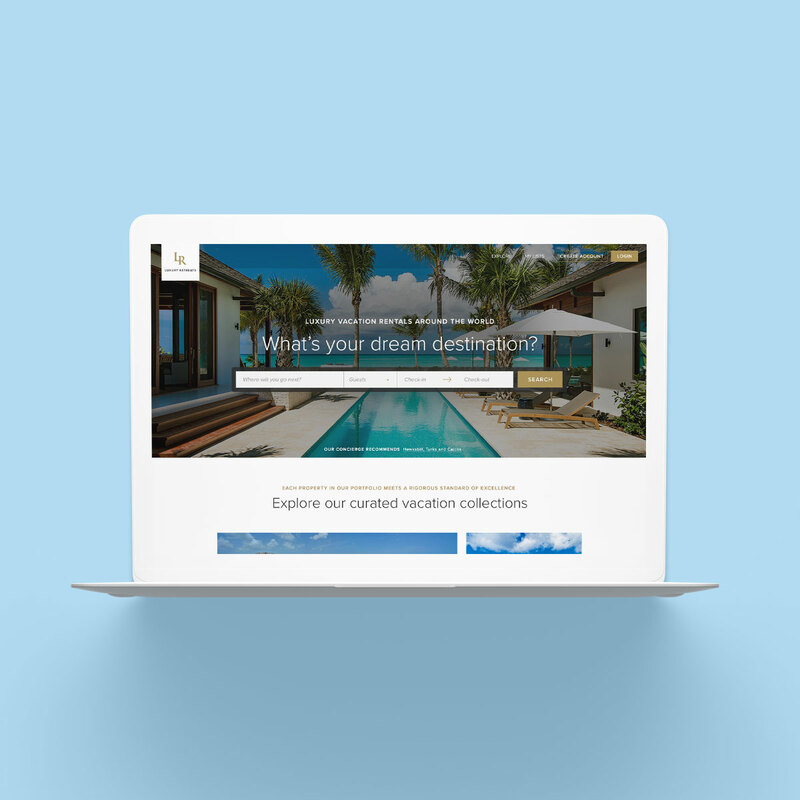 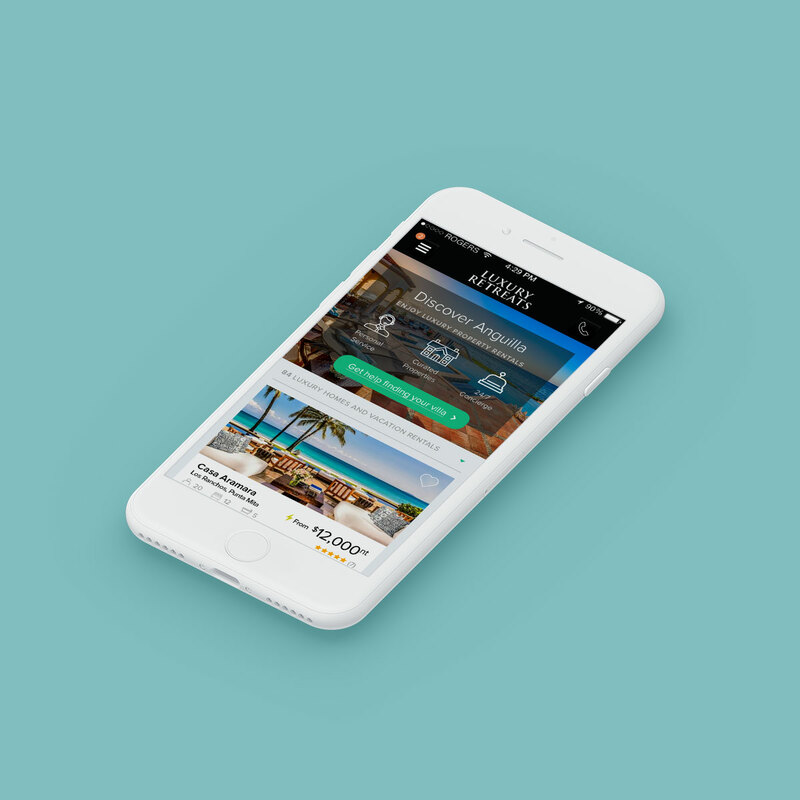 The product detail page is often the second result when a user performs an organic search for a luxury destination when coupled with property rental keywords. 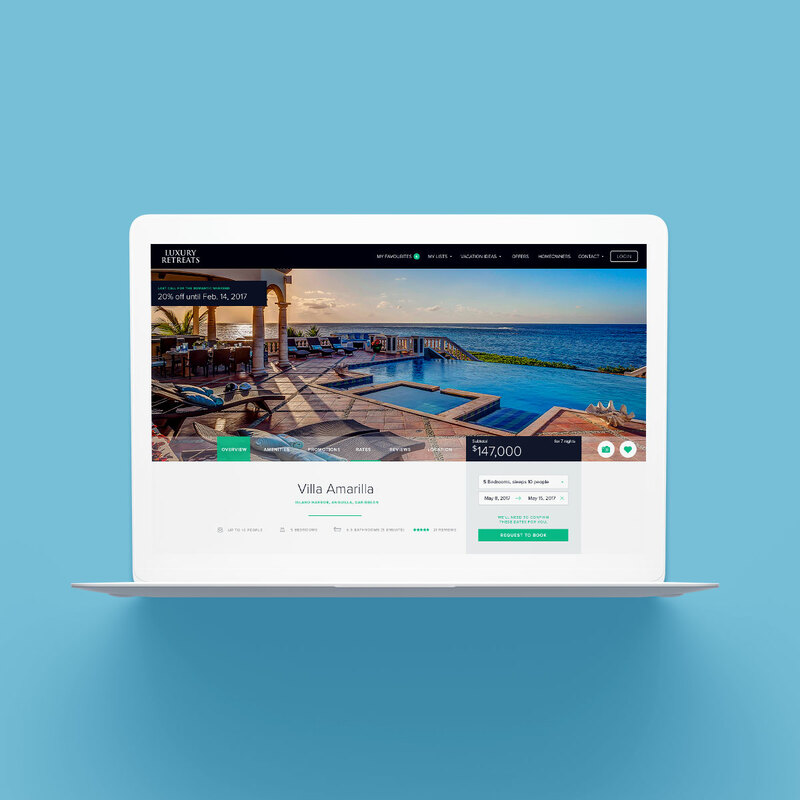 It contains all the data necessary to complete a booking for a multi-night stay, similar to selecting a room at a hotel for a vacation.